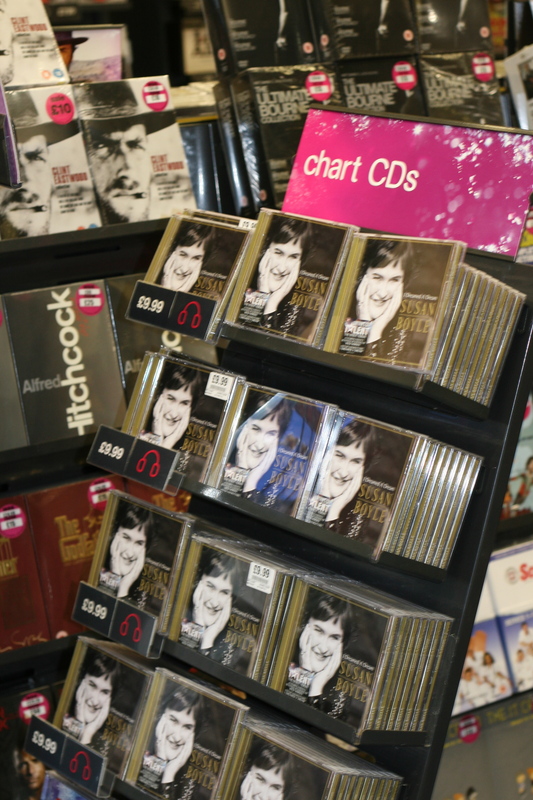 A colleague today told me she was shocked that Susan Boyle had the best first week sales of any album this year. In fact, she was appalled, and wondered aloud who ever buy her album. The answer was sitting next to her. I helped boost the Scottish sensation’s sales in two countries (UK and US) by buying “I Dreamed a Dream” twice: last week, I bought a copy for my mother in law (I would think that anyone with a British mother in law would want to purchase one, unless their sisters in law had beat them to it) and one copy, I am not ashamed to say, for myself. I admit that I enjoy the odd show tune. “Les Miserables,” which spawned the album’s title track, is a favorite. And who wouldn’t be inspired by the story of Susan Boyle (or SuBo, as the British tabloids lovingly call her)? She went from obscurity, to fame, to meltdown, to recording sensation with a makeover thrown in, all inside a year. She’s even outdone the debut of Eminem’s “Relapse.” I can understand if he is slightly depressed by that. As my colleague today proved, SuBo is not for everyone — unless everyone is a mother in law.